High Concrete Group LLC manufactures high-quality precast building components for use in challenging construction projects for structures such as parking garages, commercial buildings and sports arenas. They have been in business for nearly 50 years. Parking garages are often built with 40-ton Lego™-like blocks made of pre-stressed concrete. These are big, heavy and commoditized. 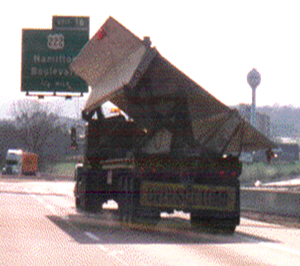 Bill Clayton, President of High Concrete Structures in 1995, decided that dwindling margins were the fundamental problem, and the cost of transporting these “giant Legos” was the key pressure point. With these thoughts in mind he challenged his team to transport two pieces per truck to help cut costs. Putting 2 Double Tees (the primary component) on a load was illegal in all 50 states, dangerous, and probably breaks some of the laws of physics. But still … as President of High Concrete and one of the primary U.S. concrete associations he felt that this might be the only way to save his company and perhaps his industry. Bill gave the challenge to his team and brought them together with a group of diverse experts from all parts of the value chain. in the first round of brainstorming she said, “I wish you could just tilt the Double Tee on the truck like they sometimes do with plate glass.” As Ken Baur, Director of R&D said later, ‘There were lots of reasons why this idea wouldn’t work, but the idea just wouldn't go away. In the end we decided we just had to give it a go’. The Mega-Tee® was born. Within a few months it was patented, and the concept was being specified into new projects as a way to significantly reduce costs, reduce seams in the structure, add efficiency to construction and provide a cleaner-looking design. High Concrete licensed the idea other firms nationwide and generated revenue from both manufacturing and intellectual property licensing. In 2002 the patents were being challenged. Innovation focus was able to provide complete intellectual property development tracking, helping the company to survive the challenge and to continue to profit from the Mega-Tee to the end of its patent life.